Unless you've been living under a rock — or were too busy enjoying Ariana Grande's '90s fest at Coachella — you know that Game of Thrones was all anyone was talking about this past weekend. 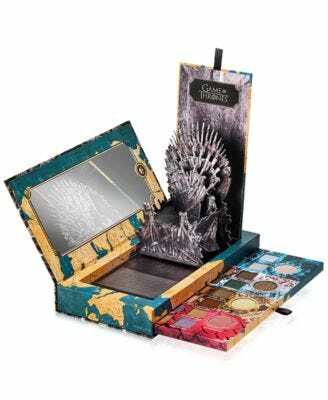 And with all this buzz around the final season premiere, it's no surprise that Urban Decay's collection inspired by the series sold out in a few hours on the brand's website. If you weren't able to get your hands on the line or didn't even know it existed (GoT premiere party planning consumed you, we get it), don't worry — you can still snag one of the star products through an exclusive retailer.